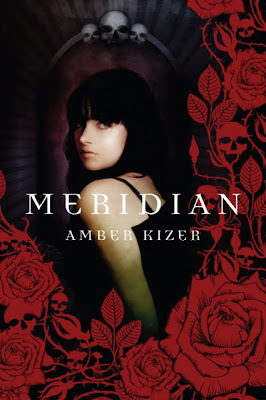 Meridian by Amber Kizer (signed & personalized! Thanks!) + signed bookmarks! Ooh, I've seen Meridian around on the interwebs, and it looks really interesting. Hope you enjoy it! I really want to read The Hollow and Meridian. I need to get those somehow. Great week. Wicked books you got this week. I got Meridian this week too. I can't wait to read The Lost Symbol. Hope you enjoy reading all your books. awesome books! i want the hollow 2! And Meridian! can't wait 4 ur reviews! Very cool you got Meridian signed and personalized. I got The Hollow this week too. Enjoy and Happy Reading! Great set of books. I also just got Meridian this weekend. I am waiting on The Lost Symbol from the library. Good week! I've read some great reviews of Meridian, so I'm coveting that one. Meridian and The Hollow both sound great. Excited to read your thoughts on them! I've been wanting to read The Hollow. And yay, enjoy The Truth About Forever! I'm dying to read Meridian! Enjoy all your great books! Great books this week! i hope you enjoy them all! happy reading! I'm reading Meridian and I like it so far..!! Happy Read! Looks like a good book, thanks for sharing.